It’s a lot easier to not create things. It’s easier to give in to the inner and outer critics. Creating risks time, energy, resources…hope. If critics spent more time creating, the world would have fewer critics. You can almost count on obstacles and setbacks that suggest that making progress toward your goal is too slow or too difficult to matter. You might also be missing some really helpful Legos. The only thing you can ask is “What can I do with my existing Legos?” You could keep waiting—or, you could build. Be warned. Your Lego tower could be a mess. You could build it in a way that structurally just doesn’t work or in a way that you can’t complete or maybe someone walks by and kicks over what you built. Progress might be incredibly slow. I dare say it most always is. Every day, those are your choices. The Legos can stay in the box, neat and tidy—or you can risk seeing what they could create. 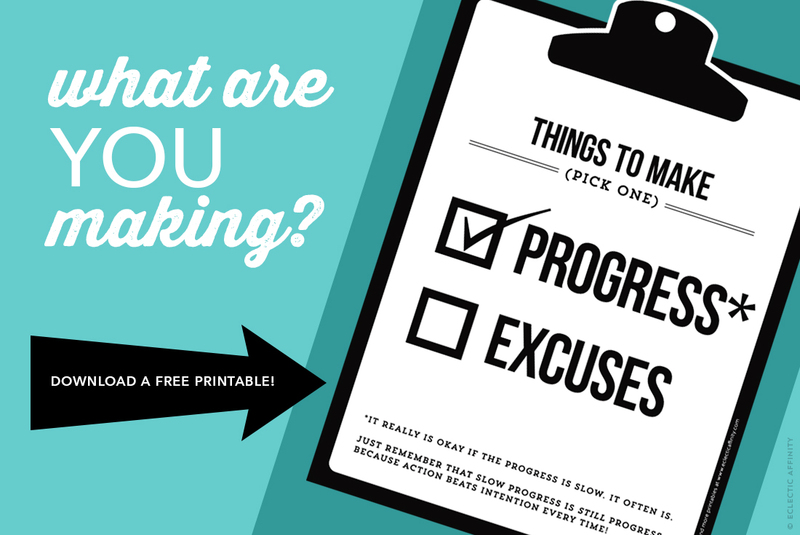 Today, this week, this year—you could make progress or excuses. 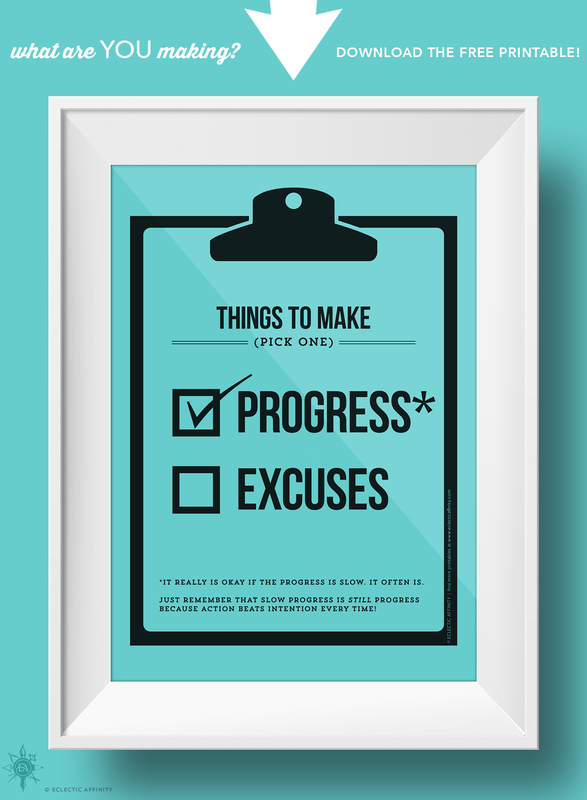 Need a reminder to hang on your wall or bulletin board? Check out the download link below for a free printable!